The update from Pioneer and it's contents: Checking the old version number: Step 1: With the unit off, insert SD Card 1, and turn the unit on. The first update process will begin. Step 2: After the update, the unit will restart. Take out SD Card 1, and once the system boots up, insert SD Card 2. You will be presented with a Device ID Screen Write this number down, and hop over to PioneerNavigationUpdate.com and input the device number and media number found on the inside of the SD case. The site will then generate a password for you. Write this down or print it. Go back to your AVIC and enter the password It will confirm the update process and then present you with a new update screen. Once that update completes, it will ask you if you would like to keep your splash screen. (a nice touch) After asking, the AVIC will go back to the standard upgrade screen that we all know and love, this time updating the APL. Data. and CE Image. Once that finishes, the AVIC will reboot, and you'll be back at the Top Menu. Step 3: Updating the MSN Direct Firmware Go to the Destination menu: Then go to MSN Direct Then click Status. The update will begin automatically. Once that finishes, your all set! Enjoy 3.020100! Did you skip backing up your F90BT / F900BT / F700BT? Postby GeoGTO on Tue Jun 09, 2009 1:31 am Well, you are in luck... I noticed that a lot of folks jump this rather critical step in hacking their AVIC. There are several threads on here where you can find them, but some require you to register on the site (and pay for it in some cases) in order to get the files in a timely fashion. I have a hosted account with unlimited bandwidth, so I've decided to help out. ftp://www.turboss.com'>ftp://www.turboss.com Username: avicuser Password: Avic411 (The username and password are case sensitive) You will find the F90BT files in RAR format (big thanks to Minifreezer). If you have files to other AVIC units, please contact me and I will upload them there for anyone that needs them. I am not sure how fast (or slow) this will be, but like I said it is unlimited bandwidth so they'll be there indefinitely. The f700bt is up. 17 100MB zip files. The RAR compression system is nice because it allows for separate files instead of one large file. Downloading the files individually is nice in case the download fails you don't need to grab the whole thing again; just the piece you didn't get. When you decompress it, it will decompress it in sequence automatically giving you the files and folders just like when they were compressed. INSTRUCTIONS TO RESTORE MY FLASH DISK Postby bigwill1323704 on Tue Jul 14, 2009 9:43 am INSTRUCTIONS TO RESTORE MY FLASH DISK ftp://www.turboss.com Username: avicuser Password: Avic411 (The username and password are case sensitive) You will find the F90BT files in RAR format (big thanks to Minifreezer). 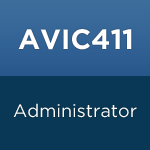 If you have files to other AVIC units, please contact me and I will upload them there for anyone that needs them. I am not sure how fast (or slow) this will be, but like I said it is unlimited bandwidth so they'll be there indefinitely. I AM NOT THE AUTHOR FOR UPLOADING THE FILES AND HOSTING THEM ALL RESPECT AND THANKS FOES OUT TO (GeoGTO) I ONLY GIVE YOU INSTRUCTIONS ON WITH I FOLLOWED 1. DL ALL AVIC BACK UP FILES 2. EXTRACT WITH WINRAR TO SEPARATE FOLDER 3.COPY My Flash Disk- TO SD CARD OR USB DRIVE. 4.BOOT AVIC IN TEST MODE. 4. OPEN WINDOWS EXPLORE/MY FLASH DISK 5>DELETE ALL FILES THAT ARE NOT IN FOLDERS FIRST. 6.DELETE ALL FOLDER EXCEPT APL2. 7. DELETE FOLDER APL2. 8. COPY FILE FROM SD/USB DRIVE TO MY FLASH DISK IN SAME DELETING PROCEDURE. THE REASON WHY YOU DELETE/COPY A FEW FILE AT A TIME IS BECAUSE IT WILL SPEED UP THE PROCESS/ COPYING/DELETING THE WHOLE FOLDER AT ONCE WILL TAKE A LOT LONGER LET ME KNOW IF THIS HELPS ANY QUESTION PM ME. bigwill1323704 Posts: 4 Joined: Mon Jul 06, 2009 3:23 am Top Re: Did you skip backing up your F90BT? Postby apathyps on Tue Jul 14, 2009 10:59 pm thanks for these instructions. heading to the car now... update** this worked. i did it in conjunction with another poster recommending that you first redo the 2.0 update. thank you for saving me the hassle of sending in my unit for 2 or 3 weeks. NOTE: THIS IS FOR THE D1 AND D2 ONLY! 1. Download "Jerry's PIMMGR" or PIM Viewer. 2. Make the image you want using a image editor of some kind and using PIMMGR and save it as a .PIM. NOTE: JPEG -> PIM has some problems, I reccomend using common colors the D1 allready knows (Blue, Black, White, etc). 3. Take the NAV DVD you use and stick it in your computer. 4. Download "DVD Decrypter" 5. Open DVD Decrypter, click mode, ISO, then read. Then click the big button at the bottom. 6. Once the iso making is done, open the image with a ISO Editor, such as UltraISO. (or for you mac users, use OSX ) *SKIP THIS STEP IF USING A Dual Layer DVD* 7a. Navigate to /IDX/ 7b. Delete: *RESUME STEPS* 8. Navigate to /BG/PIM2DIN/ 9. Add the custom .PIM file you created. 10. Save the ISO 11. Burn the ISO with Nero (or equivilant) 12. Insert Burned DVD into D1. 13. Select your custom wallpaper file. The D1 will load it. 13a. DUAL LAYER ONLY: YOU'RE DONE! REGULAR DVD: 13b. Eject the DVD and put the stock one back in. 14. YOUR DONE! Hey guys, I was wondering if any of you have been able to use a cars OEM built in microphone with decent results on the AVIC? My new VW has a built in mic in the overhead console, but even after making a custom cable for it, it won't work on the AVIC. Any ideas or maybe something I'm overlooking? Maybe the factory mic is digital? Just posted by Pioneer: Calling all app developers! Are you up for the challenge? Do you think you have what it takes to work non-stop to create the next big app to work with Pioneer's AppRadio, the revolutionary in-dash car stereo that controls compatible apps directly from its touchscreen? If so, we'll see you in Vegas! http://youtu.be/nlOPK8NQ-GQ Find out more and register for free at http://www.pioneerhackathon.com. ATX Power From AVIC411 Wiki Powering Your AVIC Off an ATX Power Supply Some of us overly dedicated AVIC hackers have a spare AVIC sitting around. Here's how to wire a spare PC ATX power supply up to power the AVIC. STANDARD DISCLAIMER: Follow these instructions AT YOUR OWN RISK. No warranty or guarantee is given or implied. This process has worked for the author, but use your best judgement and if anything is not clear, STOP and do not proceed. Getting Power The author prefers to keep the wiring harness and the ATX power supply as close to stock/reusable as possible. In order to do so, a few hard drive power cable extenders and splitters were used to adapt the wiring harness to connect to the +12V Standby, GND and +12V wires on the ATX power supply. A handy reference for the connector pinouts can be found at this URL. 1. Cut the drive connector off one end of your extender/splitter cable. If it was an adapter for an IDE drive, you will want to use the Yellow wire (+12V DC) for your AVIC harness' +Battery connection. If it was a cable for a Serial ATA (SATA) drive, you will want to use the Yellow wire as well (+12V DC). Be careful, some adapter cables don't use consistent colored cables (the author had one adapter that put +12V on an orange colored wire). To be sure you are using the right wire, it is recommended you CAREFULLY use a voltmeter to measure the voltage from your intended supply wire and the intended COM (common, i.e. ground) wire. 2. Next, connect the harness Ground wire (black w/ silver C shaped connector) to the drive connector's COM (Black) wire. 3. Next, you will want to connect the harness ACC (Accessory) wire (the Red one on the AVIC harness) to a second +12V supply (Yellow wire on the drive connector). The Author has used a second drive power cable for this purpose (drive cable Yellow wire to harness ACC wire). DO NOT USE THE RED WIRE FROM THE DRIVE CABLE, as this is only +5V DC and not enough for the intended use. While the Author has not done so on his setup, you should also consider adding a switch or delay circuit to this connection as well, as the AVIC expects power on the +Battery line for a period of time before it is applied to the ACC line. 4. Now for the Parking Brake wire (light green). The Author suggests you use a toggle switch between the second drive cable connection's COM (Black) wire and the Parking Brake (light green) wire, which makes testing mods with a parking brake on or off possible (i.e. checks for forgotten "USE_SEPARATED_SAFETY_MODE=0", etc). Turning On the Power Supply Once the wiring harness is connected to the ATX supply (i.e. the adapter cables are plugged into the PS's drive cable) it's time to turn the supply on. If you have a power supply with an On/Off switch on the back, you will not need a separate switch for this task. If the supply does not have an On/Off switch on the back, you will need a single-throw switch to make/break a connection between two pins on the ATX 20/24 pin connector (PS_ON# and COM). For Power Supplies with the On/Off switch: 1. You can use a wire to ground PS_ON# (Green wire) directly to COM (Black wire). Once this is done you can control application of power from the Power Supply's On/Off switch. If you put a switch on the ACC line, you will control startup/shutdown with that switch, and should have it off before applying power using the PS On/Off switch, then switch ACC on a few seconds later. Shutdown is the reverse of that process. For Power Supplies without an On/Off switch: You have 2 options: 1. Use the same method above, and plug the ATX power supply into a power strip with an On/Off switch. - OR - 1. Wire PS_ON# into one side of a single-throw toggle switch and COM into the other side. When you wish to turn on the power supply, use the toggle switch to make a connection. To turn off the power supply, break the connection using the switch. That's it. Apply power to your Power Supply, turn on ACC (or wait for the delay circuit to do so) and the AVIC should turn on and go through the normal startup process. If not, double check that your +Battery and ACC voltages are +12V DC while referencing the Ground wire when the power supply is on. If not, re-check your connections.